Baluchistan was never given importance by the adjacent fertile and powerful kingdoms of India, Persia and Afghanistan in the past. They were happy to give this unproductive and nomadic land the status of a buffer zone, separating them with the deserts and gorges from each other. And so, the people of Baluchistan maintained their independence under the settled system of tribal traditions under their respective chiefs. But one aspect of the tribal system of Baluchistan must be kept in mind that it differs in many forms from the existing tribal systems of the Feudal Punjab, Sind and Khyber Pakhtunkhaw ( previous NWFP ). 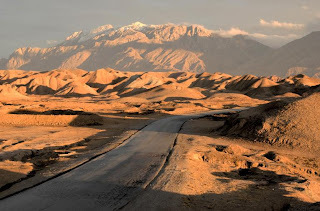 Political importance of Baluchistan was first realized by the British colonial power when the advancement of the Russians lurked towards the south and the Afghans showed their favorable inclination towards them. The British, realizing the danger from the North, started fortification of Baluchistan by building cantonments and extending Railway Lines from Karachi to the borders of Afghanistan. However, the British Empire did not interfere in the internal affairs of its Afghanistan. All the sardars ( Tribal Chiefs ) remained in tact leading to the conglomeration of many tribal states of their own, till the Pakistan Army, during the reign of Ayub Khan started action to subdue all the States of Afghanistan and ordered to merge with the Federation of Pakistan. This incident was the beginning of the hegemonic attitude of hatred from both the sides. According to the Baluch Sardars it was the breach of the agreement they had signed with the Quaid at the time of accession to Pakistan.There could be no other opinion that Islamabad, since then, followed the repressive policy in Baluchistan in the name of Federation and solidarity of Pakistan. It was converted into a ‘nascent’ colony to exploit its resources. Over the previous few years, particularly during the period of the Army action in Bugti area when one of the prominent leaders of Baluchistan was gunned down in encounter, the volatile situation took another turn that could not be termed less than the start of a revolution or a civil war. The deteriorating situation of law and order demanded immediate solution to calm it down for the security of the people and the country as a whole. It was the need of the time. But the political atmosphere was created by our leaders, civilian Government, military agencies and the media who twisted the facts during the last three years in such a way as if the Baluchis were fighting for independence and cessation from Pakistan. Thus, the majority of the Pakistanis ( 90 percent ) remained in doldrums. Now there exists some very genuine reasons of their antagonistic attitude towards the federation of Pakistan. 1) Resources of energy and valuable minerals of Baluchistan were utilized cheaply by the other provinces while the Baluchis were deprived of their own resources. 2) Baluchistan was treated just like a colony of other provinces. Most of the vacancies in federal and provincial departments were filled by the non-Baluchis. 3) It was open for all to get the domicile of Baluchistan, vis-a-vis to apply for entering the highest posts of civil services. There were hundreds of non-Baluchi officers in civil, military and judiciary cadres enjoying the benefits with poor qualifications and backgrounds by obtaining the Baluchistan domicile through many loopholes created for the purpose. They knew it well that they could not be selected if applied from their own provinces’ quota. Baluchi youths were, thus, deprived of their basic rights since the day Baluchistan joined the federation of Pakistan. 4) Since Baluchistan comprised heterogenous population, it was easy for the political leaders and the rulers of Islamabad to exploit them in the name of their races, languages, ethnic identities, religious sects, tribal honors and their internal tribal feuds. 5) The people of Pakistan know a little about the Baluchi people, their culture and history. The fate of the Baluchistan is decided by the elites of Islamabad and Lahore in their drawing rooms, just like the situation in East Bengal when the Awami League presented it’s 6-Points demands to settle the differences with the ruling elites of Islamabad, while at the same time, Islamabad was preparing to invade The Eastern wing of Pakistan i.e to hit their own heads to blow out and bleed for ever. Let’s see how the political objectives of the parties, even in the present times, playing to meet their own end can be suicidal to the very foundation of Pakistan. a) Baluchistan is situated in the very strategic position where the interests of the great powers are lingering on under the present circumstances. 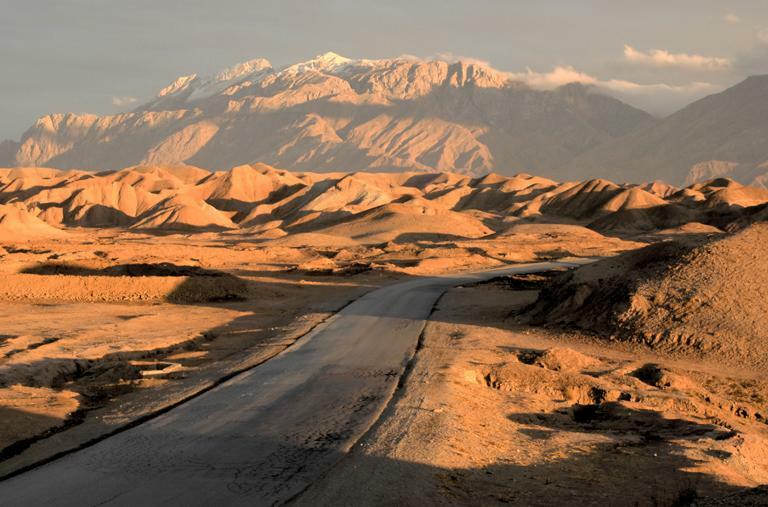 The center of future resources of energy, precious metals and minerals are supposed to be existing in the Central Asian states and Afghanistan. America has already established its web of communications by keeping its air-power and cyber-intelligent satellite system to control the region, in the garb of the savior of democracy and the guarantor of the sovereignty of the weaker states. b) Baluchistan was the main land of the supply route for the American Army during the Russian intervention and was also helpful at the time of invasion on Afghanistan after 9/11. Militarily, the coast of Baluchistan is very important for America. C ) As mentioned above, the sea coast leading to the warm water in the south of Afghanistan is linked with Baluchistan. This coast could be the life-line for Central Asia and the adjacent areas as well. The Russians aspired to control this coast throughout history, but failed. Russians, even now, would like to enhance their influence in Baluchistan.Mysterious movements of some great powers on the world’s diplomatic arena, particularly related to this area, could be observed. 1) America’s combating forces are likely to withdraw next year from Afghanistan. But it’s presence in Afghanistan and Pakistan cannot be ruled out even after 2014. 2) India has the blessings of USA in rebuilding projects in Afghanistan and also to share its political role in the Central Asian States. 3) China and Russia are near to develop close relationships, socially and militarily, despite their ideological and some minor boundaries’ differences. 4) Iran and the Arab World are lurking from one side to the other, yet to amass equilibrium in relations with their resources and capabilities to produce latest equipments of warfare. Baluchistan is going to be the epicenter for the prosperity and solidarity of not only Pakistan but Iran and the Middle East countries as well. 5) Israel’s possible interference in Iran is another danger hanging on the horizon of this region. Thus, bundles of jigsaws are gathering moths around Baluchistan in which the great powers, one or the other way, are involved and hectic diplomatic actions are expected to be taken in near future. 6) Pakistan is supposed to play an important and cautious role in this game to protect its interests. It does not seem that the matter was ever considered seriously by any one in Pakistan. At the moment KPK, Baluchistan and Sind are in chaos where law and order situation is out of control. The responsibility of discontentments in KPK, Sind and Baluchistan very much lies on the shoulders of Pakistan Army. Perhaps they don’t like it’s immediate solution for the reasons better known to them. If Zardari’s slow political moves are minutely calculated then, somehow, some positive signs of slow transformations on the diplomatic arena could be seen. Apparently, a bifurcating line between the armed forces and democratic government is visible. Judiciary is also playing its cards very candidly but the real masters of Pakistan, i,e. masses are under the Troika crushing stones. Also, recently, a new development emerged on the political arena when Akhtar Mengal, one of the prominent leaders of Baluchistan came from self exile and presented a 6-points Agenda to the Supreme Court of Pakistan for permanent solution of the existing crisis in Baluchistan. His views were clear. The problems of Baluchistan are related to its people and their mother land. Why the leaders of other provinces are taking decision in respect of the future of Baluchistan ? It is Baluchi, who would decide their own future. This case is now pending in the Supreme Court for decision. Since a good number of youths have taken refuge in mountains with well-equipped modern arms and ammunitions to fight for the liberation of Baluchistan they seem to be preparing for a civil war. The question of Baluchistan is not as simple as our leaders and bureaucrats think about. This crisis is now turning into an international subject where diplomatically strong powers are vying at it with greedy eyes.